A little piece from student newspaper the Manchester Independent on the excellently named Dr. 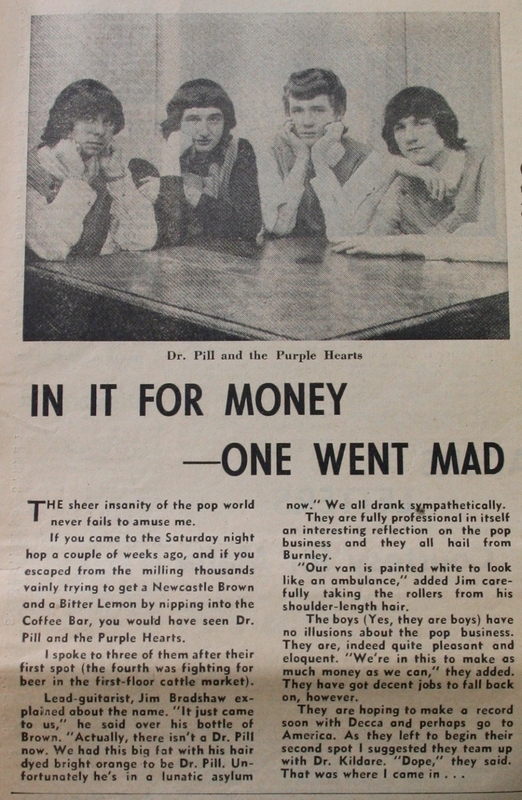 Pill and the Purple Hearts, a group of young men from Burnley who weren't afraid to use rollers in their hair. This artefact is taken from my upcoming online exhibition focusing on the University of Manchester Students' Union, Manchester Academy & its venues. With thanks to James Peters at the University of Manchester Archives and Ben Ward at University of Manchester Students' Union.